ReportBuilder PRO Version 8 has just been released and will Revolutionize the commercial real estate appraisal writing industry. Competing software to date has been mediocre at best with little or no IT support. Many of these software companies have had multiple ownership changes which prove to be a challenge for customers who depend on consistency and reliability. Appraisers continue to report there is an increased demand for faster appraisal report turnaround times and the competing software programs that have been in use aren’t meeting the real needs of the marketplace and/or customers. 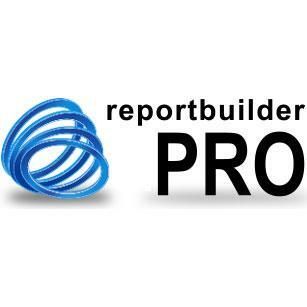 ReportBuilder PRO is an extremely well-tailored, easy to use program that comes with unparalleled dedication to Customer Service and IT Support. Version 8 is the most Flexible software product in the industry. It accommodates desktop or cloud based use, allows full customization and allows you to control and own your data unlike the competitors. About 99% of what is needed for a report is available on Page 1 and any data field that is not needed for the current report is simply hidden away. Another important key factor to the success of Version 8 is the safety net of 24/7 Server Monitoring, Daily, Warm Back-Up’s to servers in Data Centers in multiple Time Zones and the Military Grade Data Encryption.